Julia: This month I am all about the Swell Light from Pablo Designs. The fixture is so versatile with it's industrial silhouette and a touch of golden glamour. Hang them together or in a cluster or use the included connector cables to string up to three together from a single power source. You can also use them outdoors in covered areas! This is definitely one of my new go-to fixtures. Lindsay: The Flat Table Peeled by Japanese designer Jo Negasaka is created by adding a layer of brightly colored epoxy resin to the surface of wood panels to smooth the tops and square off uneven edges. A unique combination of materials with a blast of color... my eyes can't get enough! Danielle: Outline Door Handle bu StudioForma. A sleek door handle with minimalist shape inspired bu the geometric form of a cube. The core feature of stainless steel provides a long life cycle. Susan: Lumio Portable. Rechargeable. Powerful. Lumio unfolds, seemingly by magic, from a book. Simply open the cover to turn on the warm, high-performing LED lamp. Julia: Spring is here and it's time to get outside and enjoy the sunshine. The new Ekko lounger from Mama Green is a great poolside companion. The teak details add a retro feel to this contemporary sun lounger. Debra: Wind Spiral II by Berman Bronwyn. Land art installation; great texture, shape and use of natural materials. Danielle: Graphic chair by Cachel Rupp of Coveted Quarters. Original artwork by Danny O'Connor. Julia: This unique floor deign uses two products from Ragno Tile. The Hexagonal "Rewind" tile blends into the plank "Woodplace" tile to create a dynamic solution for defining small areas in a larger space. Danielle: "Serena" floorlamp by Riva 1920. 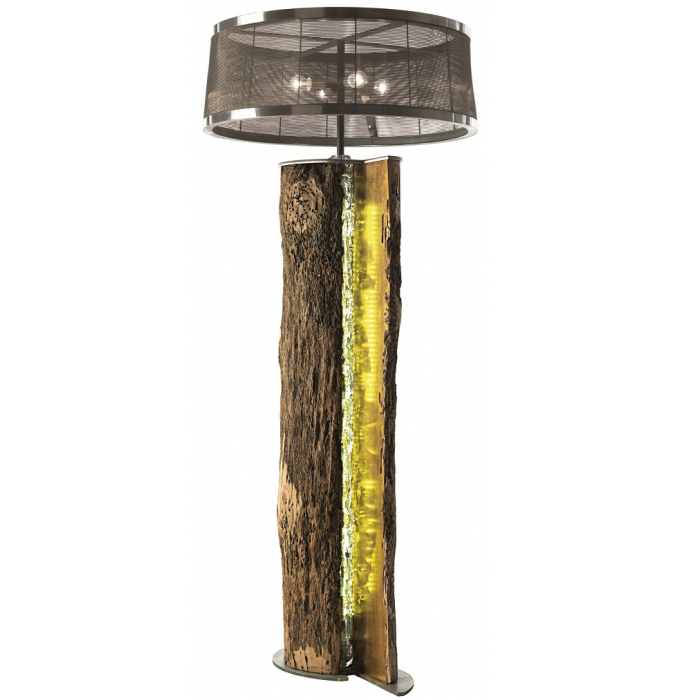 Rustic meets contemporary with an extraordinary combination of materials including wood, glass and gold-leaf. Julia: "Bunny in Spectacles" from Left Bank Art. Perfect for Valentine's Day but will make you smile year round. 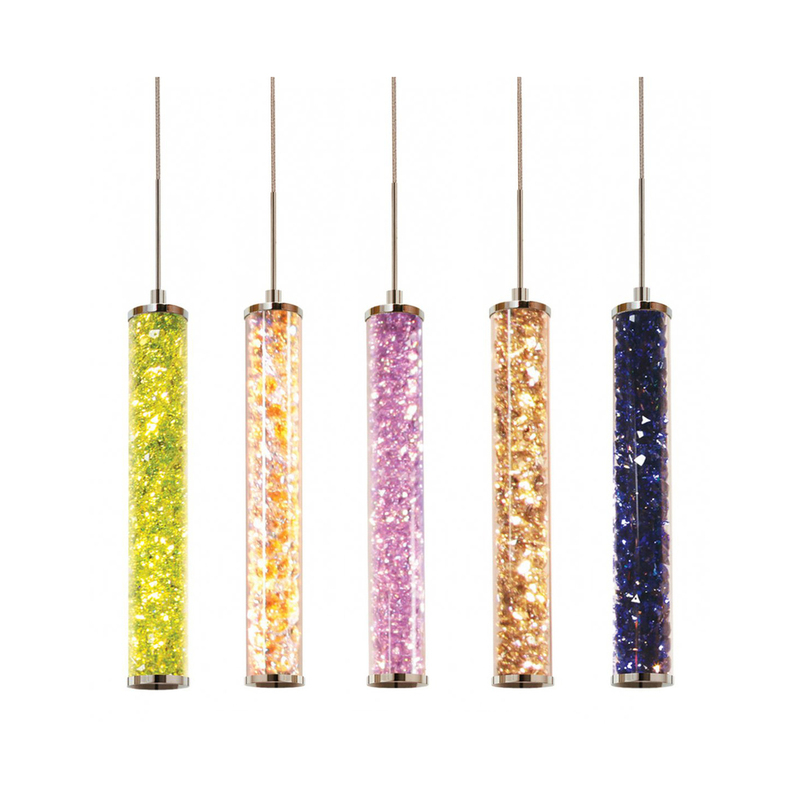 Lindsay: "Jazz Venti Crystal Pendants" from Stone Lighting. Pendants filled with Swarovski crystals; every (design) girl's dream. Debra: "Clearing V" by Antony Gormley.